A DSLR camera has a lot of functions in it and has different parts with it which need extra care. We should keep eye on the issue very carefully. So here we'll discuss on how to take care of DSLR camera so that your camera will perform at its best. It has various types of lens, ND filters, light panels, dolly, rigs and many other gears with it which you have to take care. Here is writing on how to take care of DSLR camera which contains some top secret tips about maintaining DSLR camera which will help you to take care of your gadget. DSLR camera has some harmful constituents for it which you must avoid. To maintain DSLR camera properly, you must protect it from those enemies. Here is a list of those bad constituents on which you must put an eye. In this article, you will know how to take care of DSLR camera from these. Sand can stick your camera’s moving parts. If your camera gets attacked with water, you will get sensor error or short-circuit problem. Extra heat can damage camera sensor, LED monitor. Dust can create a problemin camera sensor and focus. You must know about how to take care of DSLR camera from dust. Oil is another enemy of the camera which will degenerate your camera function. In this section of the article about how to take care of DSLR camera, we will discuss covering the lens and body. If you keep the lens in a bag or anywhere for a long time without covering it with the lens cap, dust and other harmful particles will attack the lens. Besides, it will also hit the camera sensor which will make the image quality bad and have lots of crap over it. Use the body cap of the camera while putting it in a bag or pocket to avoid scratch on the body. 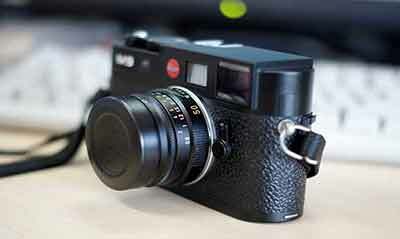 So, using lens cap and the body cap is crucial to maintain DSLR camera. This tip is important to know about how to take care of DSLR camera. If you don’t clean the camera body and lens regularly, dust will gather on the body and lens which will cause the camera sensor to get damaged. 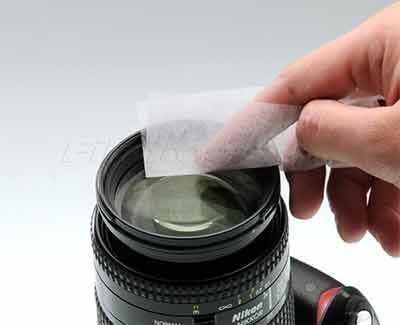 You have to clean the camera body with a soft cloth very carefully to remove dust, fingerprints from the body. 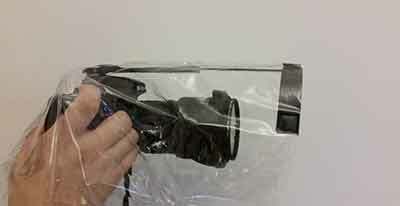 Clean the inside mirror of the camera with a blower bulb to remove dust from it. Moreover, clean the image sensor with the image sensor cleaner regularly. You have to clean the lens with a soft cloth with lens cleaning liquid very carefully to avoid spot and dust on the lens. Now you will know about how to take care of DSLR camera from direct sunlight. Don’t keep your camera in a direct sunlight for a long time. DSLR camera has the maximum amount of heat sensitivity. If the temperature goes higher than that, it will cause your camera a lot of damage. The ultraviolet ray of the sun may cause your camera’s image sensor and mirror to damage. During landscape photo shooting you may need to stay in the sunlight. But still you need to avoid keep your camera safe from direct sunlight. If the image sensor is damaged, the camera would not be able to sense the image and take the picture. The lens also gets damaged due to excessive temperature and heat. So, keep your camera away from this to avoid damage to the camera. Otherwise, it will be very costly for you. Water is one of the most dangerous enemies of a any camera. Always keep your camera away from the water. As the camera is an electronic device, if the water goes into the camera it will occur short circuit which may cause the camera not to work. Moreover, it may damage your image sensor, lens and another part of the camera. Try to avoid taking the camera out in the rain. If you do so, cover it well to protect it from the rain water. While going to travel in ocean or river and photograph there, try to avoid your camera from water and for caution cover it very well for maintaining DSLR camera. DSLR camera is a device where ultra-modern technology is used. It has a computer system in it. So, you have to use it carefully. It can’t take the pressure of sudden change in electricity. Shut down the camera before pulling the battery from the camera. As well as before inserting and pulling out the memory card do the same. When you connect the camera to a laptop or computer, make sure your camera is turned off. Don’t turn your camera turn off and on frequently. It may cause damage to your camera and battery. So, this tip is vital to know about how to take care of DSLR camera. For maintaining digital SLR camera well, you have to know about how to take care of DSLR camera and some crucial measures that are given below. 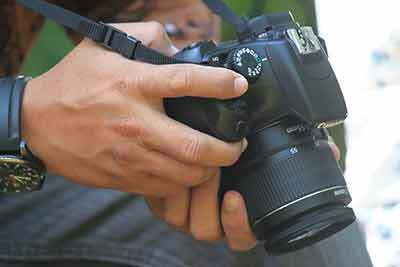 · Use a camera strap to avoid dropping it by accident from your hand. · Don’t put pressure on the camera gears and buttons. · Use a camera bag to carry the camera. · Hold the camera properly. · Use the battery carefully and recharge it when the charge runs out. · Don’t work with low charge. Lastly, DSLR camera is a fantastic device to capture beautiful moments. But to keep it fine you have to maintain camera well as it is a sensitive gadget. The above article has enough instructions and tips in it which will help you to manipulate the camera properly. 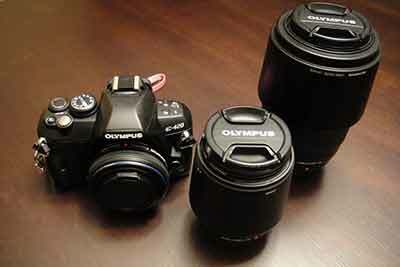 So, follow the tips on how to take care of digital SLR camera to keep it safe.